Today at IFA, ASUS announced the new ASUS Windows Mixed Reality Headset for Windows 10. The new ASUS visor is designed to bring you immersive real-world and virtual experiences. It features a beautifully unique design with a pattern of hundreds of 3D polygons and a glossy tone-on-tone effect. The ASUS Windows Mixed Reality headset also features innovative inside-out tracking with two built-in front-facing tracking cameras with 6 degrees-of-freedom (6DoF) position tracking. The visor comes with a balanced-crown design that that reduces pressure on the nose and face. Back in October, Microsoft announced that it’s partnering with Acer, ASUS, Dell, HP, and Lenovo for Windows Mixed Reality. 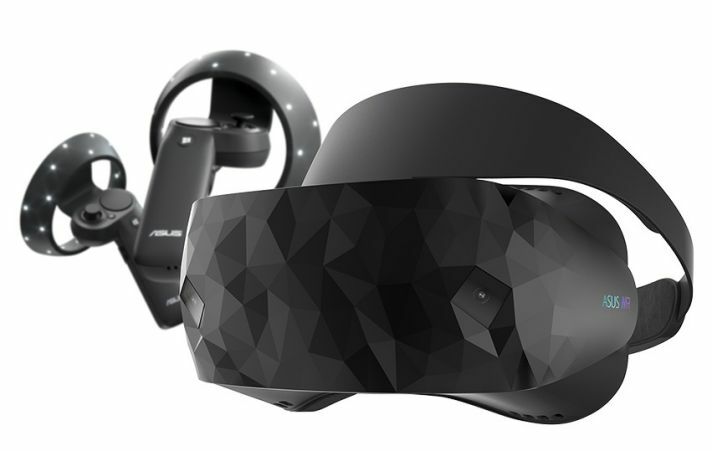 The ASUS Windows Mixed Reality Headset will be priced at €449, or about $535.